Good afternoon on a nice and peaceful Sunday from Eastern Iowa. Summer is in full swing and the eyes of the nation have been captured by the Rio Olympics. Reports of incomplete construction, corruption, contaminated water, and other recurring problems are surfacing just like they always do when the Olympics aren’t in a country with an infrastructure built to handle it. The colors of the water in the diving pool and of Ryan Lochte’s hair have been reported on more than some of the Olympians themselves, and the aforementioned Lochte has stirred up quite an international scandal. Yes, NBC must be loving it. But lets return our focus to the actual stars of the show. The worlds best athletes that have made careers in popular sports have had to make tough decisions on whether to compete or not. To compete for their country or risk injury or other issues that could hold them back when they return and get back to performing in hopes of securing their next contract. Though there have been no major injuries to speak of, there have been many broken hearts as years of training culminate in coming up just short when it really matters. In sports, much attention is paid to trade deadlines and free agency periods. Players sometimes look for a change of scenery or a move to a place where they can continue their personal and professional growth. In many ways life is just like that. We grow and change, take new opportunities and start families. Although it doesn’t play out on a grand stage in full view of millions of people, it directly affects the many people around that person. Their life story, full of different chapters and time frames, moves on. So too does the chapter they leave behind. Forever there, just…different. In the beer industry the amazing amount of growth in the “craft” space has created a new challenge. Expansions at many breweries have opened up new opportunities for people to move upward and for others to get into the industry. While this is great for many of the people that get to advance their careers, it does spell out a bit of a growing issue that may eventually have an impact on the consumer: there just aren’t enough qualified and knowledgeable people to fill all of the positions. Fortunately as it stands we are lucky in Eastern Iowa to have in my opinion, some of the best beer reps out there and hopefully we can keep it that way as some of the Iowa market manager and sales rep positions get filled. 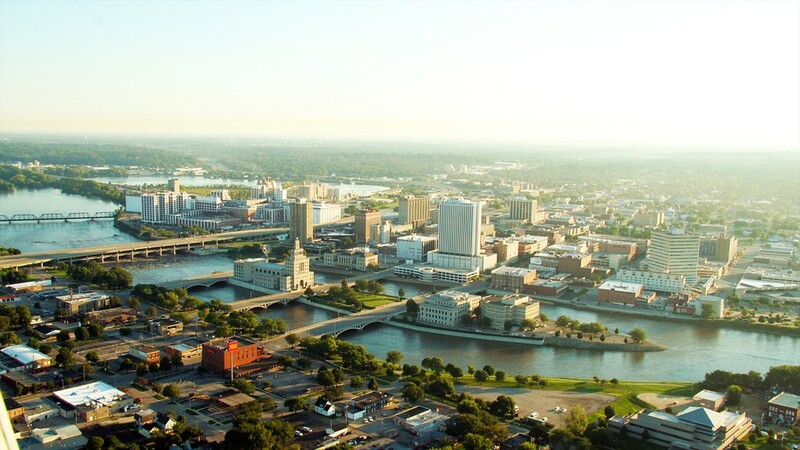 With that being said, I would like to thank and congratulate just a couple of the people in the beer industry that have been instrumental in fostering the amazing beer scene that we have here in Cedar Rapids and also in supporting us here at Bricks. This is by no means a full list of all the people that help us on a day in and day out basis (that list would be insanely long by the way), merely a nod to those that may not be around as much or are moving on. Chad Atherton (Founders Brewing Co.) – Chad is like the Godfather of craft beer in the corridor. He has helped created a culture here that will continue to live on and evolve for years; and now he has a similar opportunity to do the same for Founders as he moves into a different role there, as National Sales Trainer. Brandon “Cheeze” Parizek (New Belgium Brewing Co. -> Founders Brewing Co.)- Cheeze, also known as the best time in the beer biz, takes over a regional role at Founders and moving on from New Belgium having created many amazing events that still live on today, while providing countless people with one-of-a-kind experiences. He will be missed in the day-t0-day here in Cedar Rapids, but something tells me he will still have quite an impact on beer around town. Brandon Mathews (Lagunitas) – Brandon helped launch Lagunitas into Iowa and launch it they did. The work that he has done to bring some of the best beers and coolest events to Iowa have now launched him into a new opportunity with Lagunitas in Toronto. Some beer reps just set up events and let other people deal with logistics. Brandon on the other hand is all in, and we will certainly miss him here in Iowa. In the restaurant world, the concept of turnover is nothing new. The very nature of employment needs at a bar or restaurant generally means younger people will be employed there. This means that their stay is generally short-lived in the grand scheme. They may be working only while they’re in school, or until lifestyle changes force them to leave the industry. Generally, we’ve been very lucky here at Bricks to have retained many people for a lot longer than industry average. As someone who was new to employment within this tier of the beer world as of August 2015, but had somewhat of an overall perspective, I can attribute most of this to the ownership and management. The hours are long, the people that you deal with can sometimes be trying on your patience, but you’ll be hard pressed to find an owner in the industry that cares more or goes out of their way as much as Tim Kindl does. When you have an owner that really cares about their employees it is apparent in how long the employees stay there. Last week, we lost one of the longest tenured employees of Bricks. Yes, Kate is moving on. (After 4-ish years!) We have been lucky to have Kate for so long. Her knowledge of beer as well as ability to troubleshoot problems behind the scenes of the bar so that the consumer is never the wiser have been unparalleled. Thank you for everything, Kate! ‘Tis the season as they say and although there are always the naysayers and the opponents of seasonal creep, its August and its time to start drinking fall beers. Also, if you really don’t want to drink fall seasonals and pumpkin beers yet, then just don’t. There is no need to criticize or shame people and retailers for having them and enjoying them. Do what makes you happy! 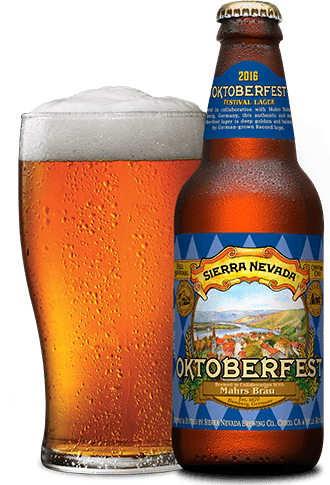 Anyway, some beers that are really shining this year are: Sierra Nevada Oktoberfest which is made in collaboration with Mahrs Brau brewery. 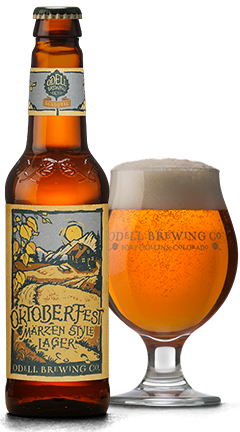 This marzen lager is on the lighter side, pouring a nice golden color with flavors of biscuit malt rather than the more toffee/caramel flavors of a Sam Adams. Another one that I’ve enjoyed so far this year has been Odell Octoberfest. I’ve really enjoyed all of the offerings from Odell that we’ve seen (if you couldn’t tell from the tap lineup) and this one is no different. In contrast to the Sierra Nevada, it ranges a little more towards that toffee flavor but is a nice compromise in the middle, once again not quite as syrupy toffee as the Sam Adams. If you get the chance, a great way to check these beers out is to get a mixed six pack from Hy-Vee or another grocery store that does single beers. It can be quite fun to pour them side by side and make comparisons. If you’re really up to the task of differentiating, you can even fill out BJCP judging sheets on the beers and find your favorites! Founders Breakfast Stout is back in the mix, making its annual return to the taps and it still stands as one of the best coffee stouts out there. Big time aromas and flavors of coffee and chocolate dominate this beer and it definitely marks as one of my favorite beers of the season. Ballast Point Pineapple Sculpin is making its initial appearance at Bricks, having been out for a few months though. We’ve had Sculpin and Grapefruit Sculpin, and Pineapple lives up to its beer-kin. Mike Kilburg from Johnson Brothers gave me a tip once to let it warm up a tiny bit from when its poured out of the tap and you’ll find the pineapple aromas and flavors really come out much better. 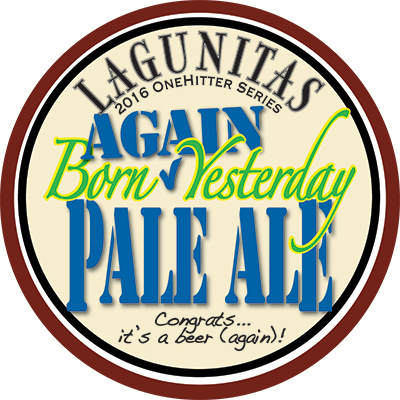 Another beer that I’m excited to get on tap is Lagunitas Born Again Yesterday. The Born Yesterday beers have been insanely fresh and full of resinous hops and this one should be no different. If there is one thing that we’ve learned from Lagunitas, they know their way around hops and beer. I’ve long been a fan of Joshua Tillman, especially his work with Fleet Foxes. He has however, created an enigma of an alter-ego in Father John Misty. Having over time created a sound that is very folk/blues/Americana blended into one hip swaying genre, Tillman has mastered the art of being weird in a good way. With his latest release however, he has captured an amazing… love song? Yes, its a bright, catchy, ear worm of a song with a chorus that you’ll find yourself humming hours later. I find it to be a perfect soundtrack on this slow burn summer wind-down that we’re in currently. Cool breezes provide a backdrop for the cicadas while responsibilities begin to return to the lives of students and Stone Brewing Citracado provides the perfect liquid match to that feeling. The audible harmonies in Real Love Baby complement the flavorful harmonies that you’ll find in this beer. A strong double IPA, perfect for the fall with its additional malt bill and the warming cheeriness that 9% ABV will give you, Citracado still helps you hold on to the last bits of summer with citrusy tropical flavors and aromas as well as avocado flower honey for an added bit of sweetness. Citracado was a very limited release in honor of Stone’s 20th year of brewing so just like these remaining days of warmth, you better enjoy it while you can.